Amy brought this gold plastic mirror to me recently. She found it at a garage sale for $10. Even with the ugly gold and the caked on dirt, we both loved the details and knew it would look great painted in her hallway! It was VERY dirty so I started by removing the mirror and giving the frame a good scrubbing in the bathtub! As I did so, I found a date of 1967 on the back of the mirror. I decided to do a little research and discovered that Amy had found what is called a Syroco mirror. Syroco comes from Syracuse Ornamental Company which was founded in 1890 in Syracuse, NY. 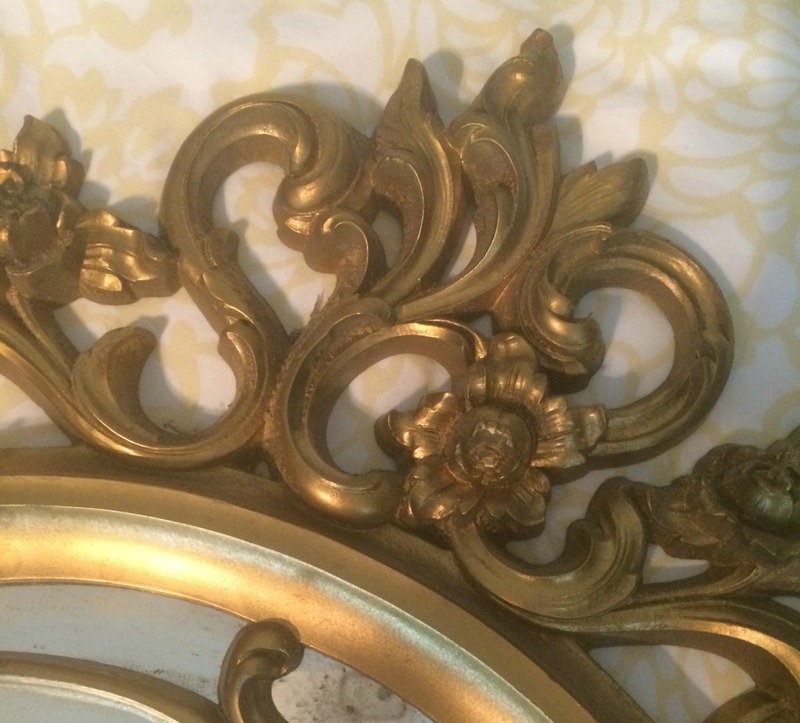 These mirrors were popular and relatively inexpensive in their time. Now they sell on ebay and etsy for $75 to $250 in both original and painted condition. Amy had a great $10 estate sale find! 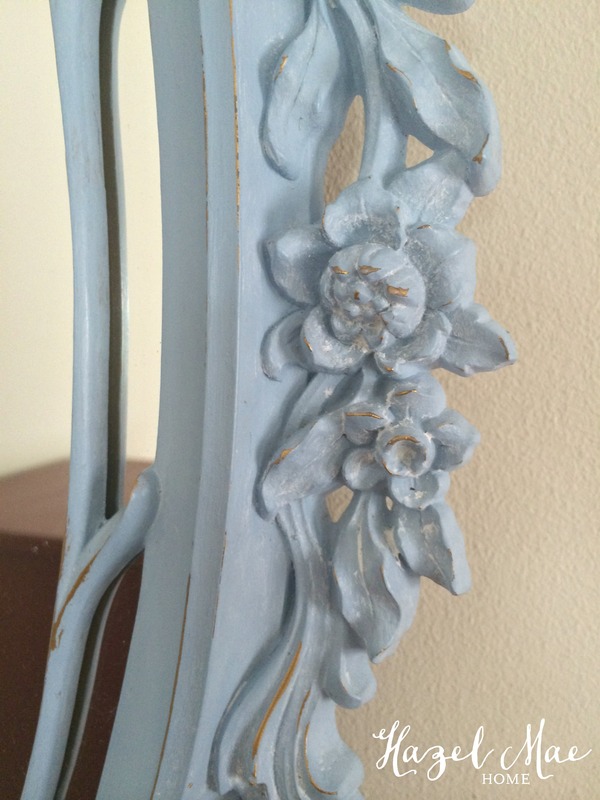 I painted a few coats of Annie Sloan Louis Blue, lightly distressed to see a little of the gold, and finished with a white wax I mixed with Annie Sloan Clear Wax and Old White. Now this 1967 mirror is current and fun.. I will certainly be keeping an eye out for more of these Syroco mirrors! Wow! My Aunt sent me a link to your page so I just started browsing! 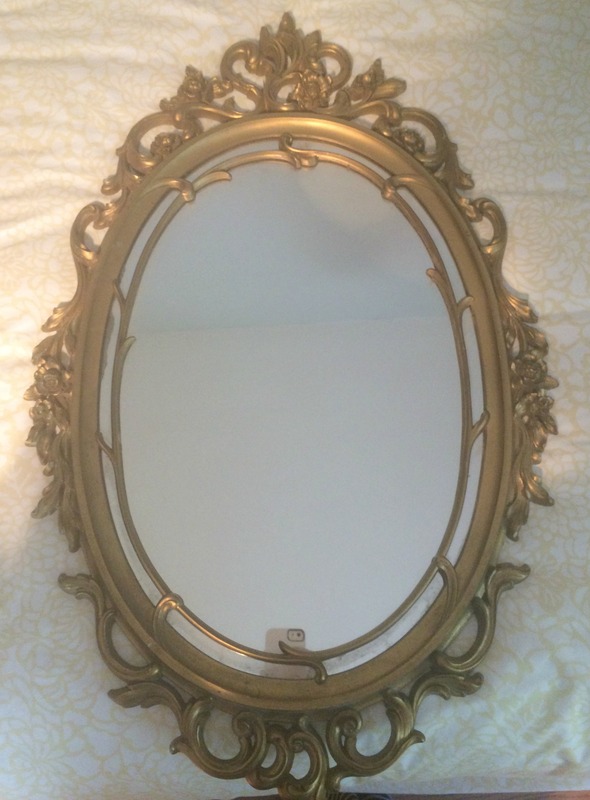 I picked up this EXACT mirror for my daughter for $10 at the thrift store awhile back. 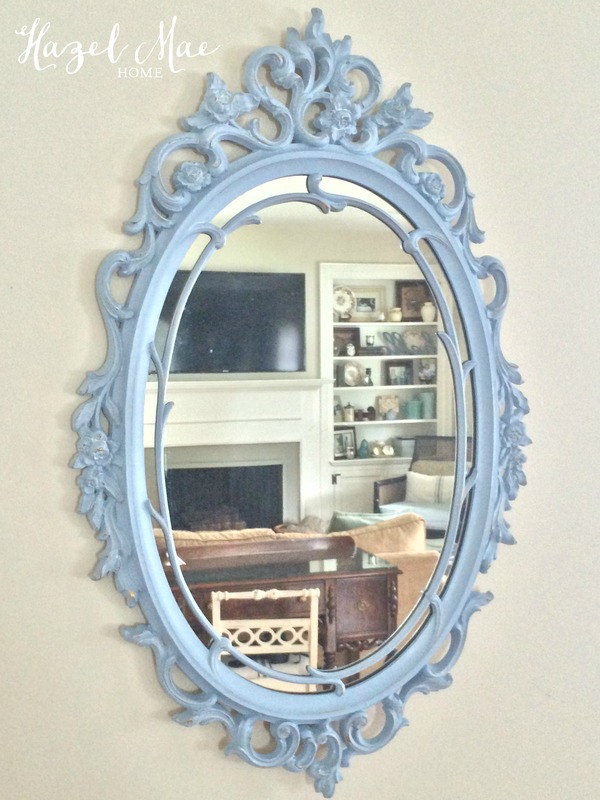 I painted it a bright pink/purple – I never looked into the history – I thought it was just a cheap plastic mirror!! I’m in shock!! You got a great deal! I bet it looks amazing pink! I have the same with the original finish….What is best to clean it? Hi! If you mean to clean the original finish before painting, I use mineral spirits. If you mean to clean after painting with Annie Sloan, just a damp cloth. Thanks for following my work!